Samurai Armor in Fallout 3: the only reason to install the Mothership Zeta DLC addon. 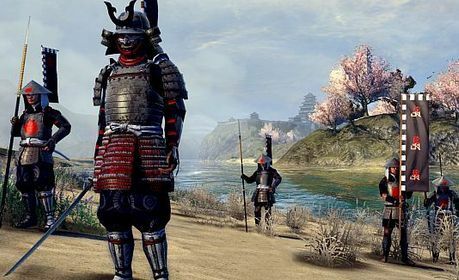 Being a PC gaming enthusiast that I am, I’m fairly disappointed that there aren’t more video games featuring the samurai. Combining my two great interests would certainly keep me glued to the screen for awhile, but unfortunately we don’t have many choices. There are many more samurai-themed games developed for eastern markets (especially Japan obviously), but since I don’t speak or read the language it can be hard to play such games. In the west it boils down to only a handful or note-worthy titles. 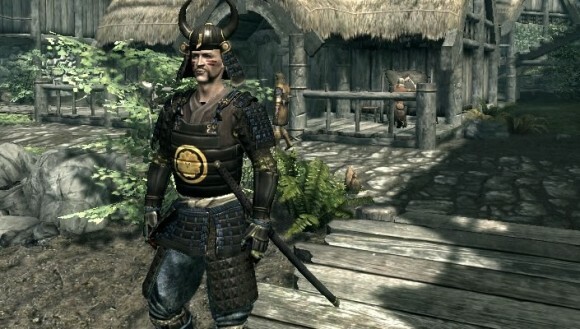 Samurai Armor in The Elder Scrolls V: Skyrim, available by installing a 3rd party game addon. 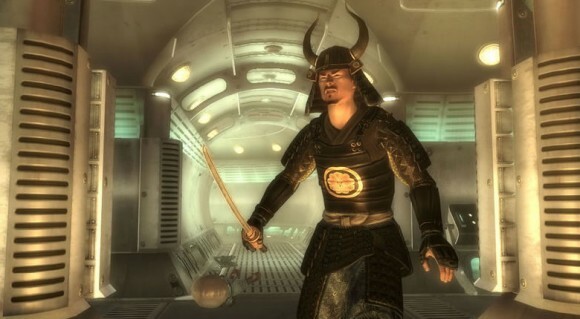 The above pictured Fallout 3 and Skyrim games aren’t about samurai, but you can obtain a nice looking samurai armor: in Fallout 3 by installing the Mothership Zeta DLC, and in Skyrim by getting a custom game mod (there are many available on nexusmods.com). Interesting to note, both of these games are developed by Bethesda and are quite similar in many ways. Both games have RPG elements and are available for both consoles (PS3, Xbox) and PC, and appeal to larger audiences. Critic scores are close to or over 90% on most sites, so you might want to give these two titles a shot. Shogun 2: Total War is a strategy game, therefore not appealing to most people. The main theme of the game is of course the samurai, but the gameplay is more challenging and if you’re looking for a game to relax you with some mindless fun, this might not be your choice. The game mixes elements of real-time and turn-based strategy as well. In the Shogun 2 campaign you’re in charge of overseeing the development of settlements, military production, economic growth and technological advancement. You battle other samurai factions, but you can also engage in diplomacy and politics. Total War: Shogun 2 received many high reviews (90% of Metacritic) so if you’re a fan of strategy games you ought to check this one out. There are some other samurai games, but most of them are for consoles and I haven’t had the chance to try them out personally. You can check the links below, watch some gameplay videos and see if you like them. Chances are there are some good titles, so if you find any you’re more than welcome to let me know!